WHAT A NICE PACKAGE!!! 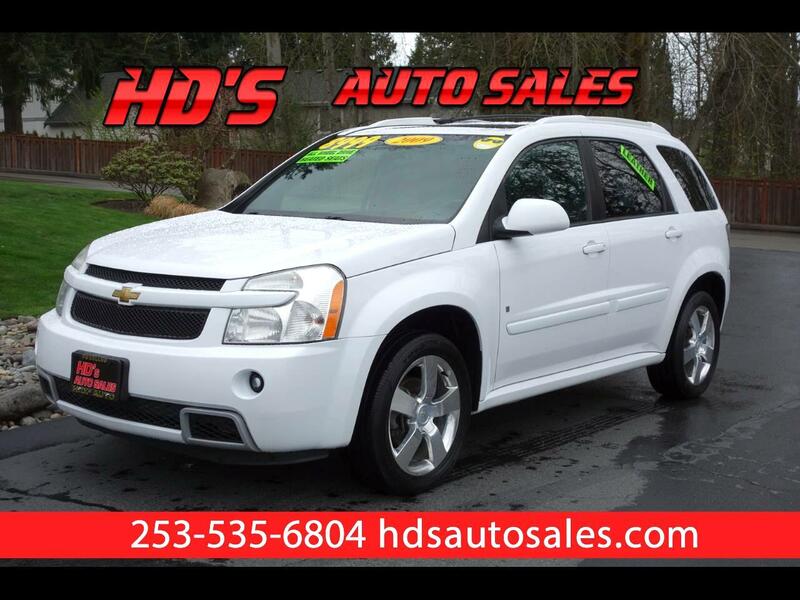 THIS 2009 CHEVY EQUINOX SPORT AWD IS JUST CLEAN!!! IT COMES LOADED UP WITH LEATHER SEATS, SUNROOF, ALL THE POWER OPTIONS, AND SO MUCH MORE!!! IT EVEN HAS A LOCAL NO ACCIDENT CARFAX REPORT TOO!!! IF YOU HAVE BEEN LOOKING FOR A NICE SMALL SUV THAT HAS ALL WHEEL DRIVE TRACTION AND ALL THE RIGHT OPTIONS THEN HERE IT IS!! !